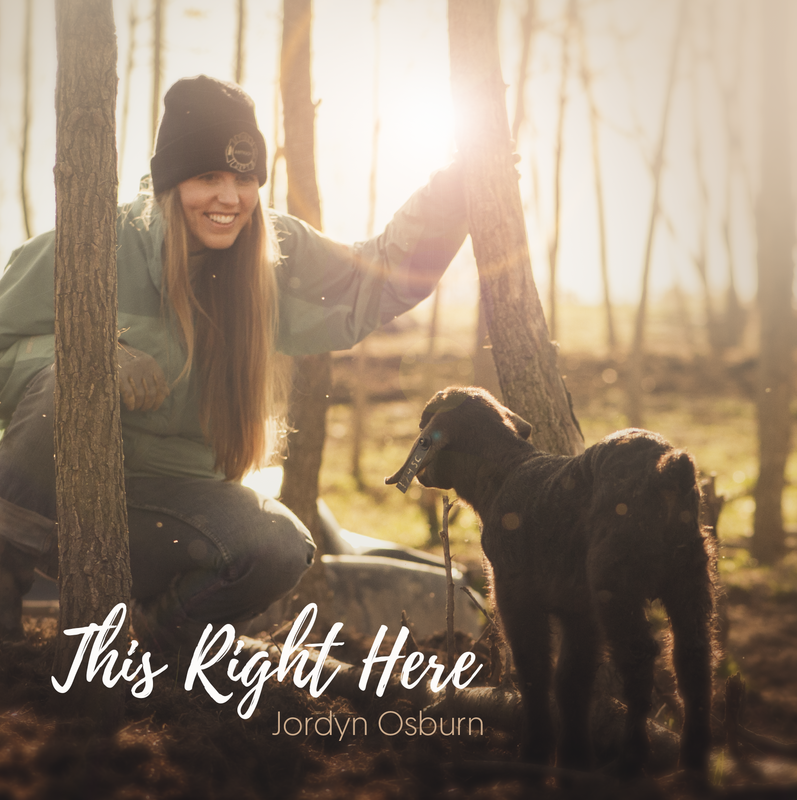 Jordyn Osburn - Album releasing November 1, 2017! I was dragging hay bales back and forth, back and forth, on a sled. The snow was getting slushy, and my socks were wet from the hole in my boot. Little guys were napping, big girls at school, and I was by myself under a gray winter sky – unless you counted the animals, but animals don’t pat you on the back for a job well done. All the years dreaming what my life might turn out like – what wild adventures were ahead, how amazing they would be. And here I was, living the dream: soaked socks, tired legs, hay stuck in my sleeves, alone. No one cheering. No one writing a book about my sacrifice of love. I sang it over and over until I pulled off my boots and went back inside. 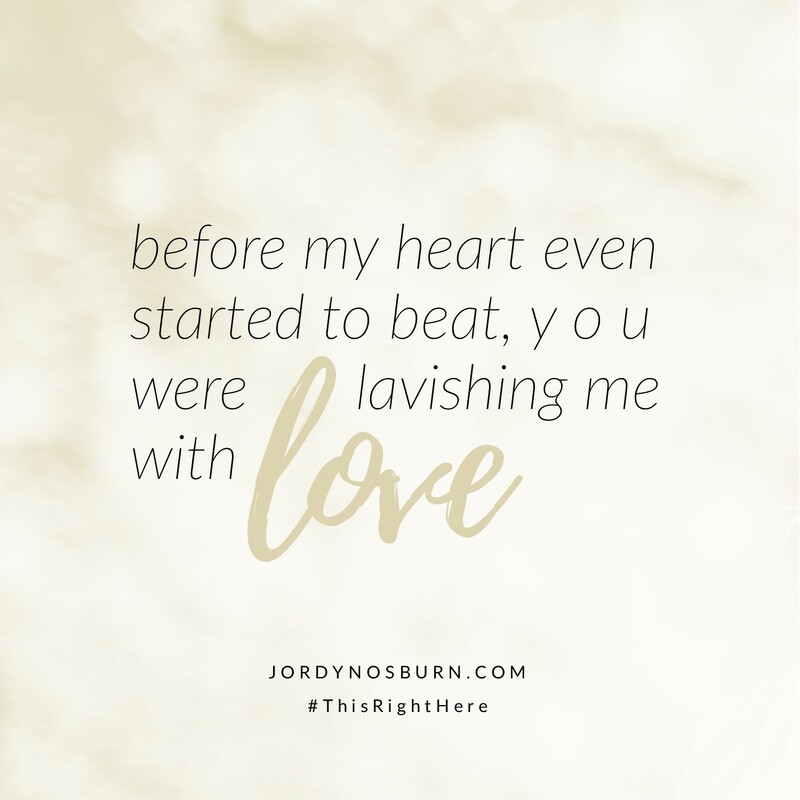 Jordyn’s earliest memory is of singing at the top of her lungs in her front yard. She was three years old – joy-filled, bold, and fully free to belt out any thought stream that came to her! In her late twenties, mother of 5, she still loves to sing in the yard at the top of her lungs. She’s just usually carrying buckets of farm food while she does it. Jordyn regularly leads worship at Refuge Ministries. Follow her to see what else she is up to! This Right Here was recorded live at the launch of Refuge Ministries in Allegan, Michigan. 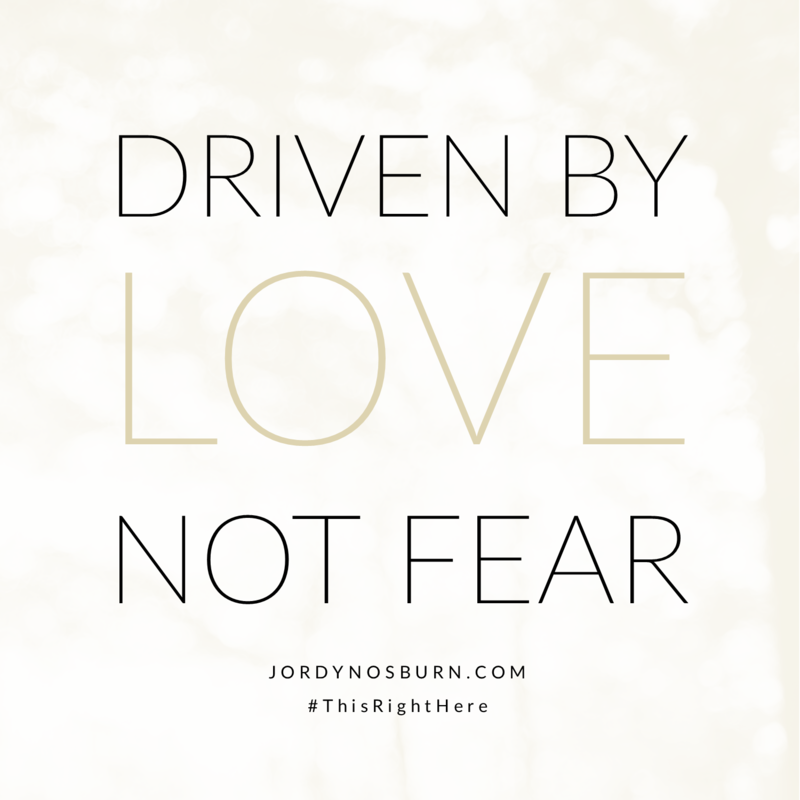 Surrounded by friends, family, and strangers, Jordyn shared her heart and songs with the world! The words in this album were birthed during honest conversations with God – quiet moments of prayer, hauling hay bales to farm animals, scrubbing dishes, driving a minivan – in the exciting, mundane, and difficult moments of life. These are the moments where God is with us: speaking, moving, transforming. Chord Sheets for each song on This Right Here can be found on the Media page. 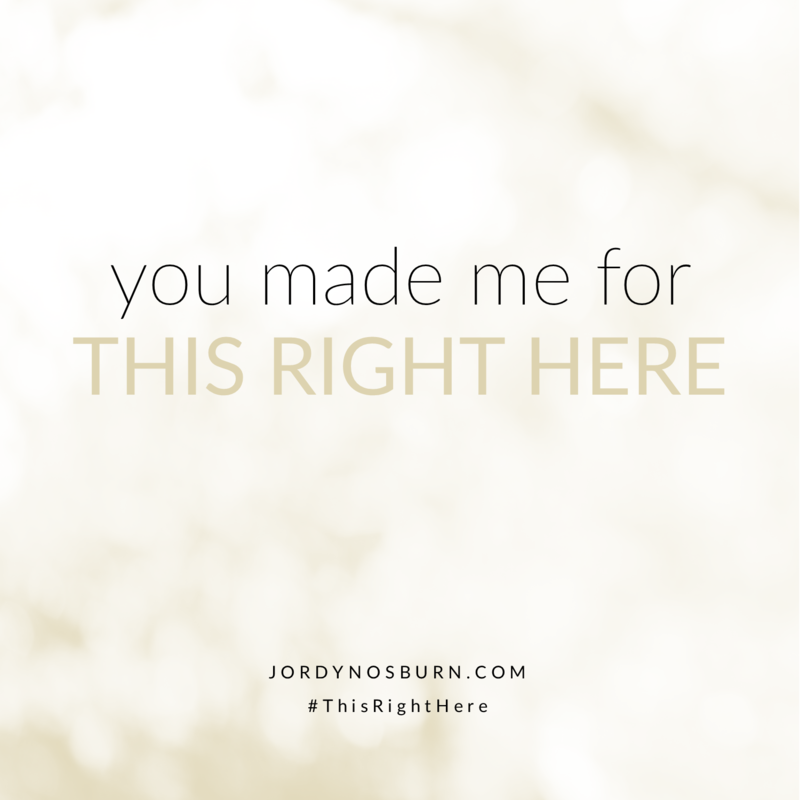 Right-click and save the lyric graphic that resonates with you. 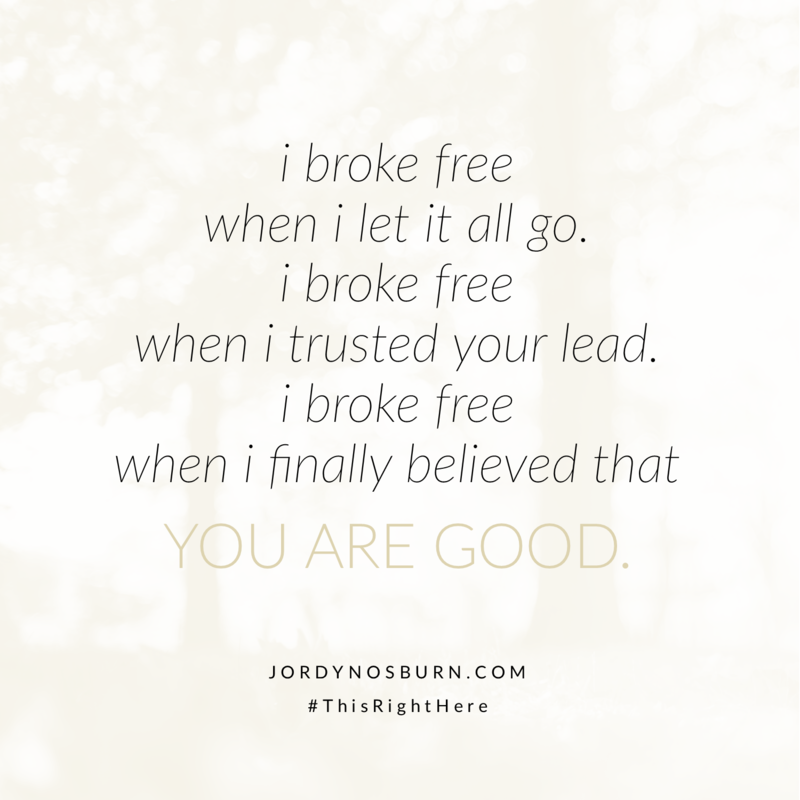 Share on social media using the hashtag #ThisRightHere for a chance to win a free album!